August 28, 2010 - As a precautionary measure to fight Eastern Equine Encephalitis (EEE) in Massachusetts, Dynamic Aviation was contracted by the state to proved aerial spraying of more than 300,000 acres across southeastern Massachusetts which was completed in two nights. Eastern Equine Encephalitis is caused by the most neuropathogenic arbovirus transmitted in the United States. The mortality rate for those affected is high and survivors often suffer severe neurological damage. Eastern Equine Encephalitis is relatively rare, with 89 human cases reported in Massachusetts between 1938 and 2006. Over 60% of those cases have been from Plymouth and Norfolk counties. Eastern equine encephalitis virus (EEE), commonly called sleeping sickness (not to be confused with Trypanosomiasis) or Triple E, is a zoonotic alphavirus and arbovirus present in North, Central and South America and the Caribbean. EEE was first recognized in Massachusetts, USA in 1831 when 75 horses died of encephalitic illness. Epizootics in horses have continued to occur regularly in the United States. EEE is found today in the eastern part of the country and is often associated with coastal plains. Outbreaks of EEE usually occur in Massachusetts every 10-20 years and typically last two to three years. The most recent outbreak of EEE began in 2004 and included 13 cases with six fatalities through 2006. The highest risk for EEE occurs from late July through September. People under 15 years of age or over 50 years of age are at greatest risk for serious illness. EEE is capable of infecting a wide range of animals including mammals, birds, reptiles and amphibians. The virus is maintained in nature through a bird - mosquito cycle. There are two mosquito species primarily involved in this portion of the cycle, they are Culiseta melanura and Cs. morsitans. These mosquitoes feed on the blood of birds. The amount of virus found in nature increases throughout the summer as more birds and more mosquitoes become infected. Transmission of EEEV to mammals occurs via other mosquitoes. These other mosquitoes are called bridge vectors because they bring the virus from avian populations to mammalian populations. They include Coquiletidia perturbans, Aedes vexans, Ochlerotatus sollicitans and Oc. canadensis. All these mosquitoes are primarily mammalian feeders. Generally, people only become sick through the bite of an infected mosquito. Humans, horses and other infected mammals do not circulate enough virus in their blood to infect additional mosquitoes. There have been some cases where EEEV has been contracted through lab exposures or from exposure of the eyes, lungs or skin wounds to brain or spinal cord matter from infected animals. 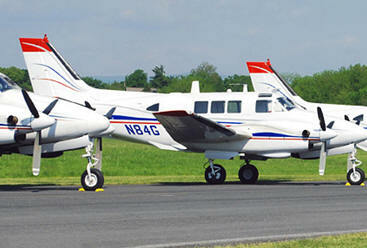 Dynamic Aviation played a key role in helping the state combat the threat of Eastern equine encephalitis. ?We?re pleased to have been able to support this time-sensitive request from the state of Massachusetts,? said Michael Stoltzfus, president and CEO of Dynamic Aviation. ?Many of the missions we support for government customers are about saving lives. This is one of those cases, and it?s an honor to be able to help.? ?Everything went flawlessly,? said Mark Buffone, executive director of the State Reclamation and Mosquito Control Board for Massachusetts, during a public briefing with Massachusetts Department of Public Health commissioner John Auerbach. Dynamic Aviation was selected for the project because of its past work with the state and its deep expertise in customized aerial applications in the important area of protecting public health. Dynamic Aviation was awarded the contract in 2003 and last month received an extension of the contract for an additional two years. Dynamic Aviation employs approximately 500 aviation professionals, owns more than 150 aircraft and operates from 20 locations in 10 countries across four continents. Their customized Beechcraft King Air 90s, twin-turbine aircraft is uniquely designed to fly over heavily congested areas, and the company?s fleet is capable of treating more than 450,000 acres in a single night.